“Flower Drums” – an original pattern by Claudia Law. Shown here are several versions of this pattern – all now in private collections. About me and my art. Info about Big-K Guest Ranch, venue for 2019 “Fall” Nature’s Landscape Retreat. Dates: September 12 – 15. Info about Claudia’s 2019 Teaching Sessions at Nature’s Landscapes Art Quilt Retreat. “FALL” 2019 RETREAT: September 12 – 15. (Spring 2019 retreat has been cancelled, due to family concerns). 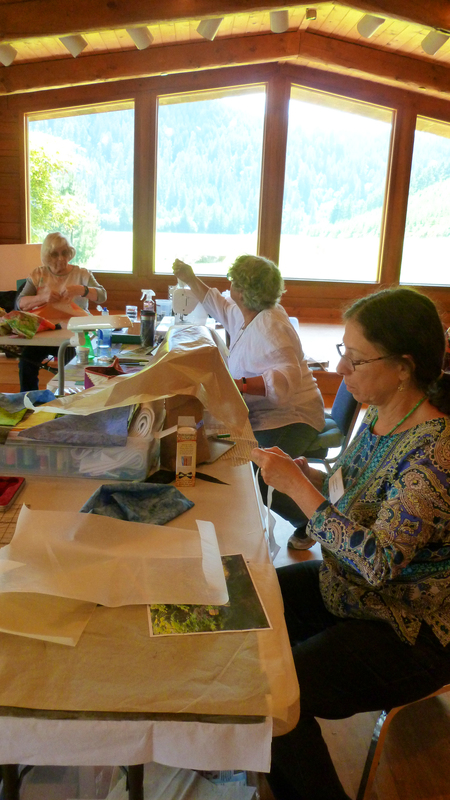 Teaching Sessions REGISTRATION FORM: 2019 Fall (Sept. 12 – 15) Nature’s Landscape Art Quilt Retreat.